part of the Camino de Santiago as one of the summer pastoral activities. one of the most important pilgrim routes in Europe, and indeed, in the world. We were 26 students aged between 16 and 17 from some of our schools in Spain, along with three teachers and three rscj (Olaya Mayans, Patricia Hevia and Ruphine Ndimbani, a Congolese YP who is doing her international experience in Spain). 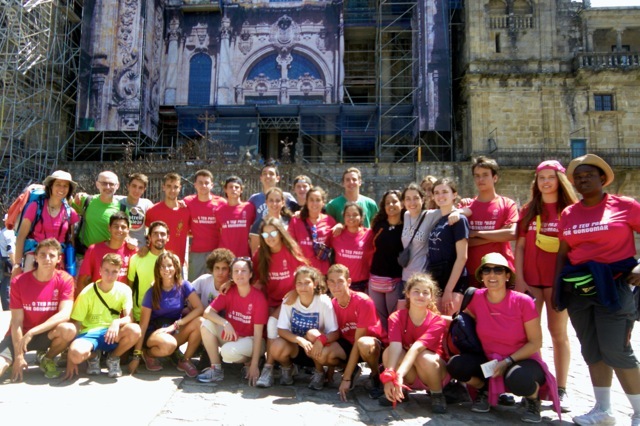 Over seven days we covered more than 160 kilometres of the Portuguese Camino. Putting our hearts into our camino was the motto that inspired our walking and called on us to overcome difficulties, enjoy the beautiful scenery and become a community walking together. Over those days we experienced the warm and generous hospitality of the different town council hostels and religious communities which welcomed us. The RSCJ community in Placeres where we spent one night gave us an exceptional, unforgettable welcome. We began the day very early with breakfast together and a prayer to determine the “tone” of the day. Our daily target took us about five or six hours. In the afternoon and evening we gathered together for reflection where the students shared on their questions, desires and concerns. It was really a gift to be able to share those days with such an exceptional team of adults accompanying the young people from our schools in such a process of growth, personal transformation and discovery of life, and of the Gospel. 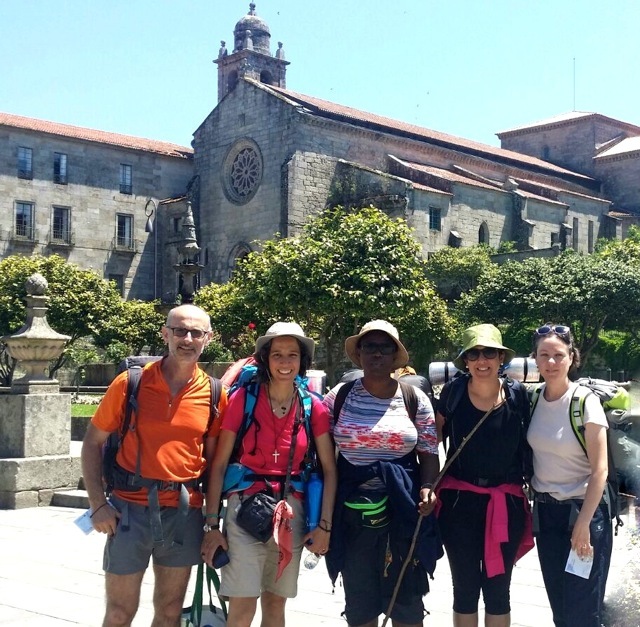 The joy of achieving the goal of getting to the Plaza del Obradoiro, in Santiago de Compostela expressed very well the huge effort made in the days we had shared together.